Following an eleven-year construction period interrupted by the global financial crisis, Henning Larsen’s The Wave apartment building in Vejle, Denmark has finally reached completion. 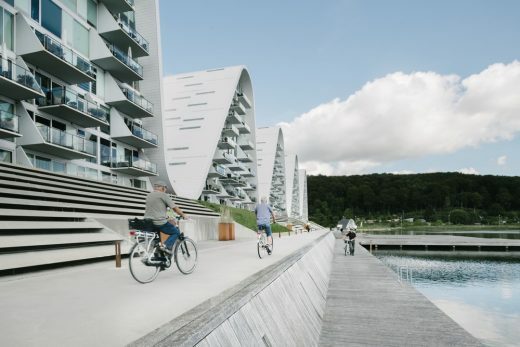 Construction on the 14,000 sqm complex, consisting of 100 apartments, began in 2006, following an architectural vision of five consecutive wave-shaped towers lining the water along Vejle Fjord. However, the global recession of 2008 interrupted construction after the completion of only two towers. They stood unaccompanied along the waterfront, the first chapters in an unfinished story. Even though only partially completed, the first stage of The Wave drew international attention. 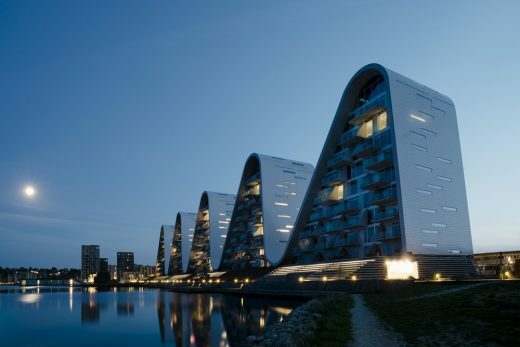 The two towers were named ‘Residential Building of the Year’ by Danish trade magazine Byggeri in 2009, followed by an ABB LEAF Award for innovative architecture in 2012, and the prestigious Civic Trust Award in 2013 – The first time a Danish architect won the award in 51 years. 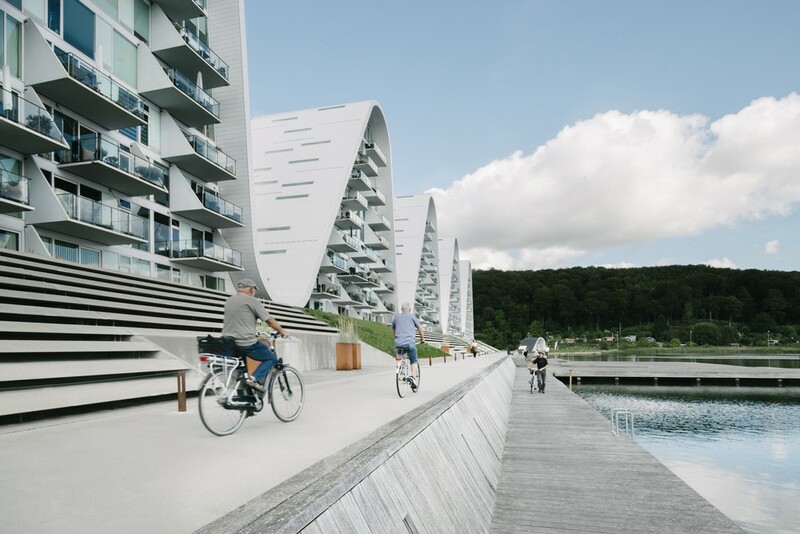 The Wave incorporates an open, public pier – establishing it as a social and residential hub, and an enduring presence in the vitalization of the Vejle waterfront. After construction efforts were re-initiated in 2015, the final three towers are complete – fulfilling Henning Larsen’s original vision. 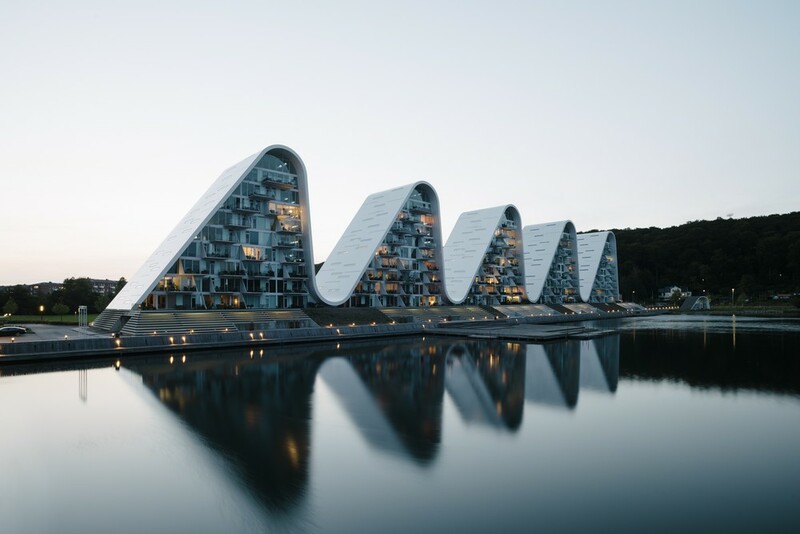 Its five iconic crests rising above Vejle Fjord, The Wave stands as an architectural tribute to local heritage and geography. 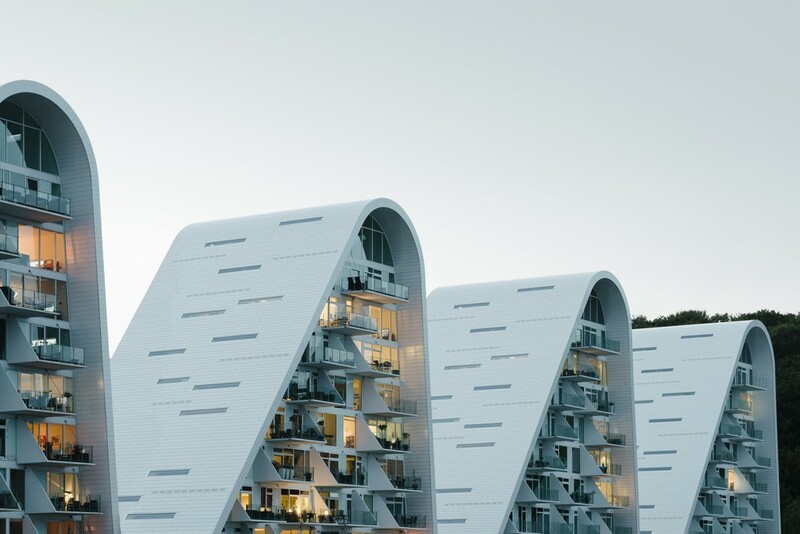 The fifth and final tower of The Wave were finalized in November 2018. 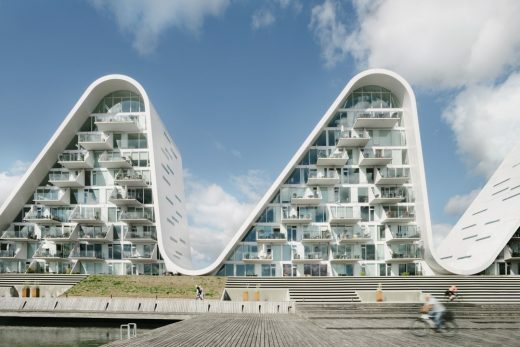 The Wave in Vejle is a new unique housing and with its sculptural and organic forms it will become the new landmark of Vejle. 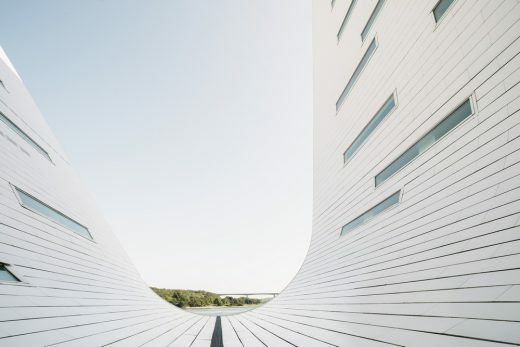 With the magnificent location overlooking the promenade and the bay the characteristic building both respects and challenges the potential of the area. During the day the white waves are reflected in the sea and at night the characteristic profile will look like illuminated multi-coloured mountains. 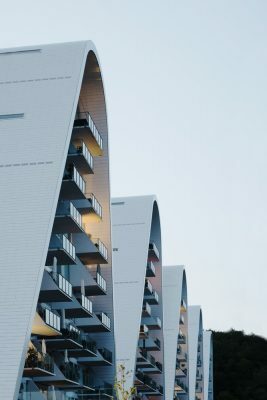 The building has 140 attractive apartments many with two-story house plans, all with a wonderful view. 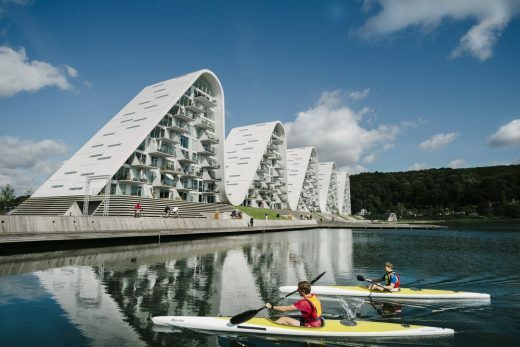 The Wave is inspired by the characteristics of the area: the fjord, the bridge, the town and the hills. The clear and easily recognisable signature of the building connects the residential area with the sea, the landscape and the town.